Today’s departure of the Ocean Princess from Cape Town on a 28-night West African Adventure cruise brings attention to a new cruise destination that is slowly attracting more attention from international cruise lines. 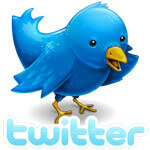 West Africa is now attracting calls by several lines, including Crystal Cruises, Fred. Olsen Cruise Lines, G Adventures, Noble Caledonia, Phoenix Reisen, Princess Cruises, Saga, Silversea Cruises, Travel Dynamics International and Variety Cruises, to name just the most obvious. Among these, Fred. Olsen is a newcomer to making regular calls while Saga will have three ships on the coast in the next year and Travel Dynamics International is bringing in a larger vessel. Meanwhile, as Costa Cruises takes delivery of its newest ship, the 3,016-berth Costa Fascinosa, it announces some changes to its safety regime as well as the impending appointment of Michael Thamm as new ceo of the Costa Cruises Group. Today’s departure of Princess Cruises’ 688-berth Ocean Princess from Cape Town on a 28-night West Africa Adventure marks the return of another regular cruise operator to this region as others begin to take an interest. On a voyage from Cape Town to Dover, the Ocean Princess will be making calls at Luderitz and Walvis Bay in Namibia, Cotonou in Benin, Lomé in Togo, Tema in Ghana, Dakar in Senegal, Mindelo in the Cape Verde Islands, Tenerife, Casablanca, Seville, Lisbon and Le Havre. In October, she usually sails the same itinerary in reverse. Princess Cruises has been offering cruises to West Africa for many years now and this is the third year on this coast for the Ocean Princess, which had traded as Tahitian Princess until November 2009. The Ocean Princess follows by five days the departure from Cape Town of Classic International Cruises’ 556-berth Athena, which is today in St Helena and will make calls at Ascension, the Cape Verde Islands and Tenerife but not on the West African coast on a positioning voyage from Fremantle to Portsmouth. In a similar manner, while MSC Cruises usually position two cruise ships to South Africa each winter, they don’t usually call on the West African coast on their voyages from and to Italy except for an occasional call at Dakar. On the other hand, one British-based line is about to add West Africa to its offerings in a big way. In an effort to save on flight costs and aviation fuel, Fred. Olsen Cruise Lines is moving its 930-berth Braemar from the Caribbean to the Canaries this winter, to be based at Tenerife. In an admirable effort to expand itineraries beyond the traditional Canaries and Madeira calls, the Braemar will introduce a new series of winter Canaries and West Africa fly/cruises. Indeed, even before this season starts, on October 12, Fred. Olsen will sail the Braemar from Dover on a longer cruise that will take in Funchal, Mindelo and Praia in the Cape Verde Islands, Dakar, and Banjul in The Gambia, and return to Dover by way of Arrecife on Lanzarote, Casablanca and Gibraltar. This will be followed on January 6, 2013, by a one-way cruise from Southampton to Funchal, La Palma, Las Palmas de Gran Canaria, Santa Cruz de Tenerife, Dakar, Banjul, Praia and Mindelo, and finishing in Tenerife, where she will be based for the winter. These itineraries will carry on through February and Braemar will return again in December 2013 for a second Canaries and west Africa season through February 2013, again taking in Dakar, Banjul and the Cape Verde Islands. Elsewhere, Saga Cruises have also made West Africa home, with the 655-berth Saga Ruby having last been there on a 31-night cruise in 2011 that left Southampton and took in Funchal, Dakar, Freetown, San Pedro, Limbe, Sao Tome, Cotonou, Lome, Tema, Takoradi, Port Grande and Santa Cruz. On February 1, 2013, their 456-berth adventure ship Quest for Adventure will offer a cruise that actually starts in Ghana, with a 15-night cruise called ”Africa’s Undiscovered Coast” leaving Tema for Lome, Cotonou, Principe, Sao Tome, Luanda, Walvis Bay and Luderitz and finishing in Cape Town. And on March 15 she will start a second cruise at Tema. Entitled “Echoes of Colonial Africa,” this time she will be headed for Takoradi, Freetown, Banjul, La Palma, Tenerife and Funchal. On April 6, 2013, Saga Ruby will offer a 22-night “Africa’s West Coast” cruise, starting at Cape Town and taking in Walvis Bay, Principe, Sao Tome, Lome, Takoradi, Freetown and Funchal before finishing in Southampton on April 27. Saga’s new 706-berth flagship Saga Sapphire will then offer a 28-night “Africa and the Solar Eclipse” cruise from Southampton on October 18, 2013, making for La Coruna, Leixoes, Lisbon, Cadiz, Agadir, Arrecife, Gran Canaria, Mindelo, Praia, Freetown, Dakar, Tenerife and Funchal before returning to Southampton on November 15. 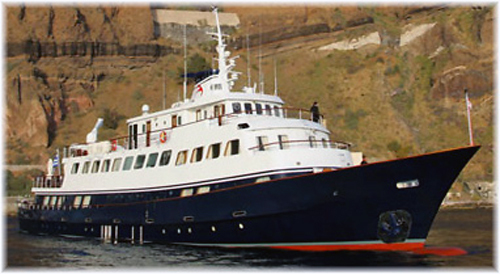 Like Saga’s Quest for Adventure, Phoenix Reisen’s 884-berth Albatros will also originate a cruise at Tema in 2013, when she departs on March 5 for an 18-night voyage calling at Conakry, Banjul, Dakar and the Cape Verde Islands and finishing in Amsterdam. Meanwhile, American operator Travel Dynamics International will be tripling the size of the ship on its West Africa program in 2013. Where in 2012 it operated the 34-berth Callisto on the West African coast, in 2013 it will operate the 100-berth Corinthian. 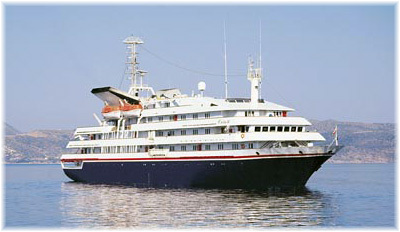 At the moment this ship is operating as the Orion II for Orion Expedition Cruises in Southeast Asia but she will then redeliver to Travel Dynamics, for whom she had previously operated as the Clelia II. The Corinthian’s program will see her offering two 34-night cruises, leaving Malaga on January 11, 2013, to cruise the coast of Africa, calling at Casablanca, Safi, Laayoune, Dakhia, Dakar, Banjul, Freetown, Abidjan, Takoradi, Accra, Lome, Cotonou, Principe, Sao Lome, Pointe Noire, Luanda, Lobito, Benguela, Walvis Bay, Luderitz and Cape Town. On February 13, she will then perform the same itinerary in reverse, calling at the same ports and arriving in Malaga, completing on March 20. Meanwhile, of the upmarket lines, Silversea Cruises recently called at Dakar and Takoradi with their 298-berth Silver Wind. And the 388-berth Silver Whisper will call at Cameroon, Takoradi, Banjul and Mindelo in the course of a 26-night cruise from Cape Town to Fort Lauderdale in April 2013. The 132-berth expedition ship Silver Explorer is also scheduled for a number of calls in West Africa as part of her adventure cruise season this aurtumn, including a 10-night cruise from Tema to Tema on October 3. Crystal Cruises’ Crystal Serenity will also call at Takoradi and Dakar as part of a 21-night cruise from Cape Town to Southampton in April 2014. Other lines making West African calls include G Adventures, with their 140-berth Expedition and Variety Cruises, whose 49-berth Pegasus cruises between Dakar, Banjul and the Gambia River between December and April. Noble Caledonia have also scheduled a 13-night West African cruise in their 114-berth Island Sky this November, calling at the Cape Verde Islands, Dakar, Banjul, Freetown, Takoradi and Tema. 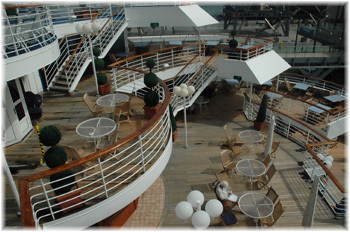 Equally, Semester at Sea have two calls scheduled for Tema with their 836-berth Explorer in 2013. By no means an exhaustive breakdown of cruises calling at west African ports, the above programs are on offer from a dozen different lines and that’s before counting ships engaged on world cruises. Because the ports already handle cargo ships, the basic infrastructure for these calls is already there and one of the large attractions of some of these calls is that this part of the world has not been commercialized as have so many ports in the crowded Caribbean and increasingly so in Europe. Costa Cruises’ latest delivery, the 3,016-berth Costa Fascinosa, a sister ship of the Costa Favolosa delivered last July, was delivered to Costa Cruises in Venice on Saturday. As opposed to previous Costa ship inaugurations, following the loss of the Costa Concordia in January, this one was a low-key event. At 114,500 tons, the ship is the largest Italian-flag cruise ship ever constructed. Costa Fascinosa will cruise in the Mediterranean by summer and South America by winter, and will also offer seasonal pisitioning voyages between Europe and South America. Costa ceo Pier Luigi Foschi announced the introduction of a new safety regime that will be mandatory on all Costa ships, including those of Aida Cruises in Germany and Iberocruceros in Spain. This will include following up on guests who do not attend safety training exercises onboard, leaving written safety instructions in each cabin, and beefing up the safety content on all Costa websites. A new high-tech system will monitor and control ships’ positions in real time, triggering alarms if vessels deviate from agreed routes. In addition, ongoing officer training on a new bridge management model at a simulation centre in the Netherlands will widen responsibility for crucial decisions at sea. Finally, a stricter bridge access management policy has been introduced, following guidelines agreed in recent industry-wide announcements on the subject. Foschi also indicated that Costa’s business was improving in the light of recent events, with booking volumes back to the same level they were at a year previously. When Foschi retires as head of the Costa Cruises Group on July 1, he will be succeeded by Michael Thamm, president of Aida Cruises, who will move to Genoa to take up his new position. Foschi will remain as chairman of Costa Cruises and remain on the board of Carnival Corp & PLC. Costa’s next newbuilding will be a 132,500-ton ship, to be built at the same Fincantieri Marghera shipyard that delivered the Costa Fascinosa. The new ship will be for delivery in 2014.